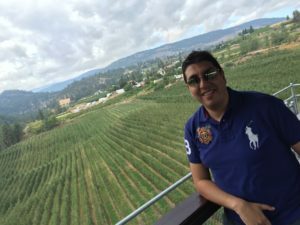 Ahmed Saffar works in supply chain management and he likes to volunteer in his spare time mostly with Immigration Services Calgary. Ahmed was born in Baghdad and also lived in Dubai and Abu Dhabi and traveled to many places and had the chance to interact with people from different cultures and understood the importance of diversity and tolerance at the same time in building great societies and that was the main reason why he chose Canada to be his home 10 years ago when he came here as a skilled immigrant. Ahmed also plays squash and likes to read in many topics. He is a husband and a father and his family is a big strength point in his life.